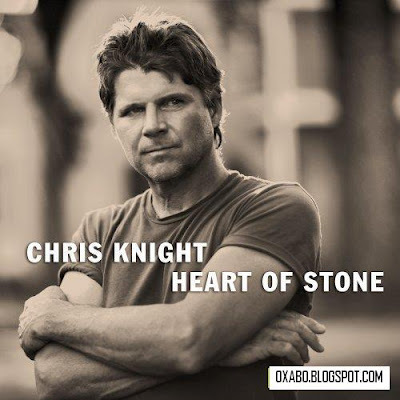 The release date for Chris Knight's fifth album, Heart of Stone, has been moved to September 2nd due to production issues. The album was produced by Dan Baird (of Georgia Satellites fame, as well as producer of Knight's widely-praised A Pretty GoodGuy and The Jealous Kind discs). This is album number six for Slaughters, Kentucky native Chris Knight, and he does what he’s done the previous five times out: write and sing like a young Steve Earle before Steve left the narratives of small town scrappers and losers behind him to take up the larger concerns of the big city and big-city politics. Chris Knight doesn’t care much for big cities or politics. His hometown, pop. 200, is all that’s left of what was once a thriving coal mining community. The coal is long gone, there aren’t any jobs, and now Jethro and Ellie Mae are liable to be cooking up a batch of meth out on the bucolic Back 40. The rootsy twang that dominates most of these songs will call to mind Ryan Adams in alt.country mode, but the songwriting is sharp, detailed, and acerbic, and if you’ve heard this music a thousand times, and you have, you haven’t met these characters before. Best of all is the devastating “Crooked Road,” the tale of a man who has lost his son to the mines and his wife to sorrow, and who now travels the circuitous mountain highways, trying to get somewhere, anywhere, all the while cursing everything in sight. Guest musicians on Heart of Stone include Mike McAdam (Steve Earle, Radney Foster) on various guitars, Keith Christopher (Georgia Satellites, The Yayhoos) on bass, Tammy Rodgers (The SteelDrivers) fiddle and vocals, mandolin and banjo and Michael Webb (The Wreckers, Allison Moorer) on B-3 organ, piano and accordion. Producer Dan Baird also contributes on guitar and vocals.The twelve songs on Heart of Stone represent a creative maturity indeed unlike anything Knight has done before. The music itself is a richly organic sonic mosaic where snarling guitars and pounding drums live alongside mournful violas, plucky banjos, and even the occasional trombone and bouzouki. Knight, who's been compared to such legendary songwriters as Steve Earle and John Prine has finally conquered his most demanding critic: himself. You are viewing "Chris Knight - Heart Of Stone (2008)"